In April of this year, Daniel accepted the position he was offered with the LDS church. We were so excited about this opportunity. It just felt so right. I can't even begin to describe the peace we felt about it. Daniel moved in with our good friends, Terry and Lauri Smith, in Eagle Mountain, UT, while I stayed in Idaho with the kids while they finished up their school year. I began working on the house, getting it ready to put on the market. Dan threw himself into training at a new job, in a new state. He grew to love his new job almost overnight. The stress level was so much lower. He enjoyed the people he worked with right away. He loved the change and challenge of a different industry. And most of all, he felt privileged to be able to spend his days doing the Lord's work. The enviroment was so much more positive and uplifting than what he was used to and we could all sense a change in him right away. Back in Idaho, we were painting and cleaning and working with a realtor. We put our house on the market, but knew that with the mortgage industry in it's current crisis, we were unlikely to sell it quickly, or for what we owed. That's just how it is. Seven years with not a single late payment and we could still end up in a mess.... But we trusted that the Lord would take care of us. If that meant things with our house went less than perfectly but we got a new, beautiful start for our family, so be it. Daniel came home on weekends. As the school year drew to a close, we made a couple of trips to Utah to begin looking for our new home. On our first trip, we found an amazing house in Saratoga Springs. It was almost 5,000 sq feet, overlooking the lake, just a few years old, in a great neighborhood. We put in an offer and it was accepted. For some reason, ever since I knew we were moving, I thought we would end up in Saratoga. I came home and told the kids all about it. We had pictures, and they began to get more excited about the move. Prior to that, they were so nervous about leaving their friends that it was hard for them to feel any excitement at all. The school year ended. The kids struggled with having to say goodbye to their friends, as did I. I was so blessed to have an amazing group of friends in Idaho. My We-Tri girls were more than any mom could ask for. I always knew I had love and support, no matter what I was going through. And I always had someone to train with, to laugh with, and to eat chocolate with. I cried. A lot. Right before we left, the We- Tri girls threw me a party. I can't begin to describe how touched I was. At the risk of sounding like I'm having a pitty party for myself, my birthday falls at a very busy time, so often my birthday gets mostly overlooked. And as a mother, it's par for the course to spend your days taking care of others, without anyone really thinking about doing anything for you. I think I forgot what it felt like to have people do nice things for you, just because they love you, not expecting anything in return. They gave me thoughtful cards and gifts, and things I will cherish forever. I cried like a baby. I knew it was unlikely that I would find such a great group of friends, to laugh with and train with, in a different place. We drove down to Utah to let the kids see the new house. On the way down, Dan called me and told me he just didnt have a good feeling about the house. I did NOT want to hear it. I loved the house. It was exactly what I was looking for and at an amazing price. I was hoping he was wrong. But when I got to the house with the kids (who ran in the door, totally excited about the new house, and started checking out their rooms), he was standing there with our realtor, Amy, and both of them had defeated looks on their faces. Apparently the house had experienced a lot of settling issues, and there were cracks everywhere. The entire house needed to be piered, to the tune of $80,000. I sat down and cried. We rescinded our offer and started searching again. It seemed every house we saw was just not what we were looking for. I didnt want to sell my house, that I loved, in Idaho, and move into something I liked less. So after a bit of discussion, Dan and I decided we would look into building instead of buying. After a lot of searching, we were able to find a condo to rent that wouldnt make us sign a lease. We knew the building process wouldn't take a full year, so a lease was out of the question. It was incredibly difficult to find anything without a lease, so we werent able to be picky about it. We rented a condo in Saratoga Springs. It was on Redwood Road (not ideal), but would allow us to be close enough to whatever school our kids ended up in, since we had pretty much decided we would be building in Saratoga. We still didn't have any offers on our house in Idaho but we had faith that the Lord would make sure we were taken care of, since we knew we were doing the best thing for our family. One day my phone rang. It was my youngest brother, Paul, who was in Iraq, with the national guard, on a yearlong deployment. He asked if we might be interested in renting our house out. He said he and Kristin would love to rent it if we would be willing to. This was an answer to our prayers, and we readily agreed. Mason, our oldest son, is 12 years old. He loves basketball and snowboarding. He is a quiet, loving, funny kid who takes very good care of his brothers and sister. Mason is in 7th grade and loves to read. He is one smart cookie! 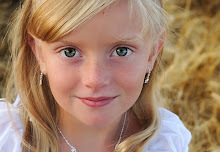 Savannah, our only little girl, is 8 years old and in 4th grade. She is a busy little bee. She loves gymnastics, ballet, ballroom, cheerleading and piano, and stays busy with all of them. She loves school and any opportunity to socialize. She is the little mother of our house and helps mom with the little ones every chance she gets. Jaxon is the life of the party! He is 5 years old. I have never seen such a busy, mischeivious boy. He is bursting with personality, but has absolutely no fear! He keeps us laughing-and running- all day long. Jayden, our sweet baby boy, is 4 years old. He is such a happy, loving little boy. His favorite hobby is snuggling! He would do nothing else all day if he had the choice. He follows his big brother, Mason, around all day. On days where Mason has school, Jayden waits anxiously for him to get home. We love our cute little snuggly buddy! We are the Millers. 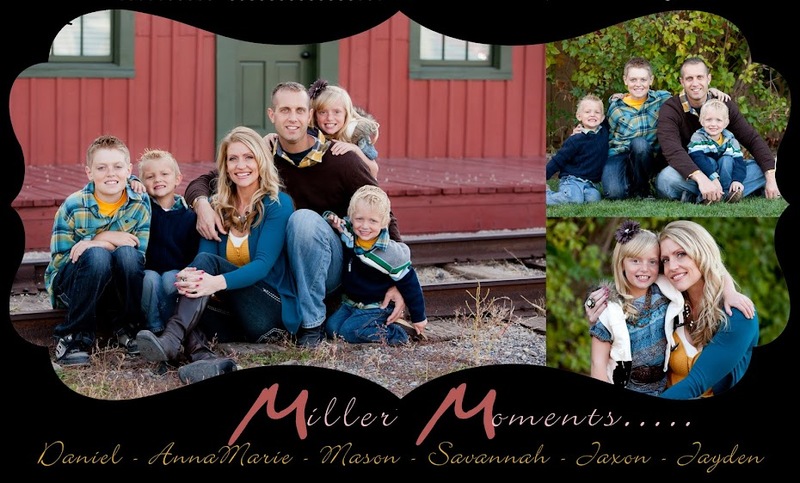 Daniel and I have been married since May of 1997 and we have 4 children- Mason, 12, Savannah, 8, Jaxon, 5 and Jayden, 4. I am a stay at home mom and Daniel works for the LDS church in the media department. We love our life, our family, our friends, and our neighborhood and we wouldnt' choose to be anywhere different in life than exactly where we are today. Can you believe it? - I've actually updated my blog again....no...seriously. NEW BLOG ADDRESS - I have changed our blog address to : www.valentinefamily02.blogspot.com See you over there! Life At Gale Speed... Don't Blink!